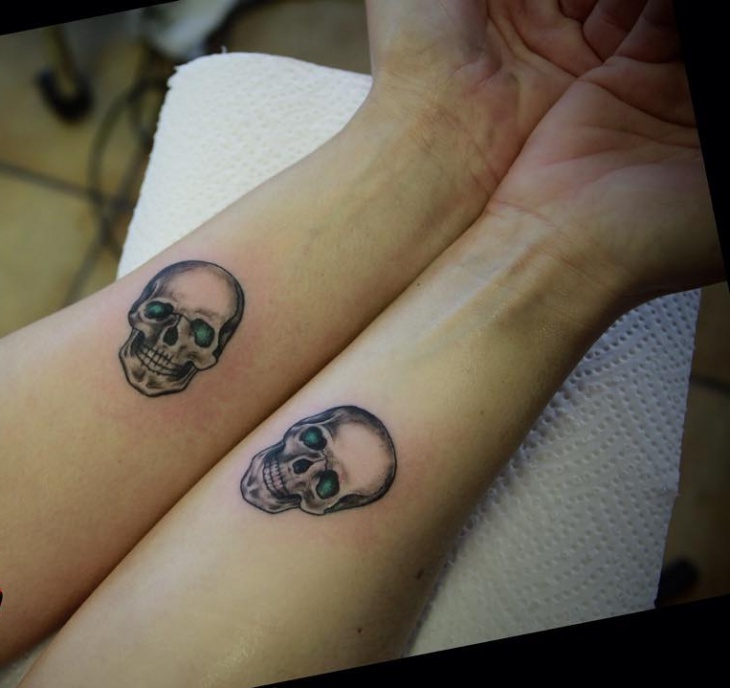 The best way to experiment with any tattoo is first to start with a small design then if you feel more daring you can up your game and get a large tattoo. 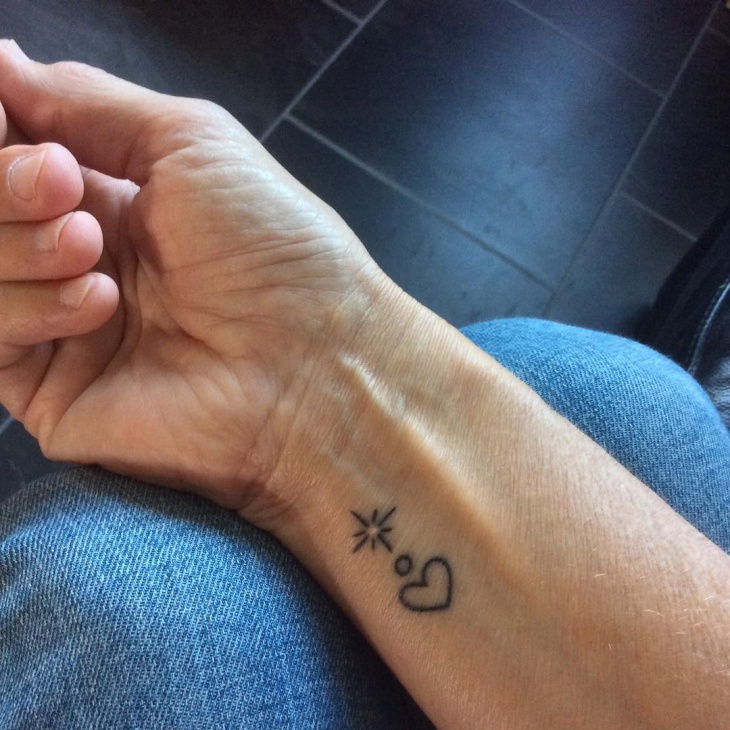 Even though tiny, small tattoos still function to express your style and depict the same symbolic meaning. 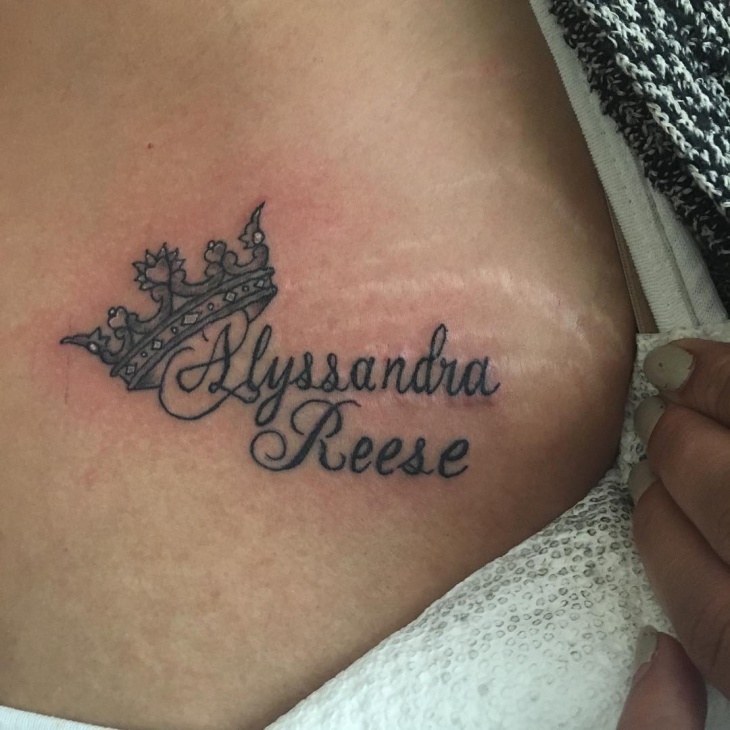 They come in both black ink as well as colored and are easily covered up. 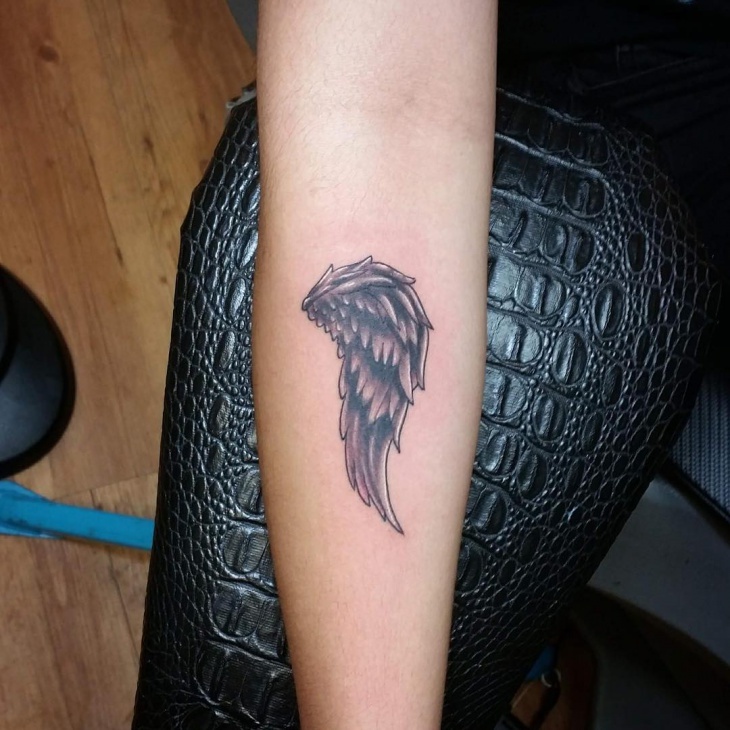 If you are considering getting a tattoo, then check out these small tattoo designs. 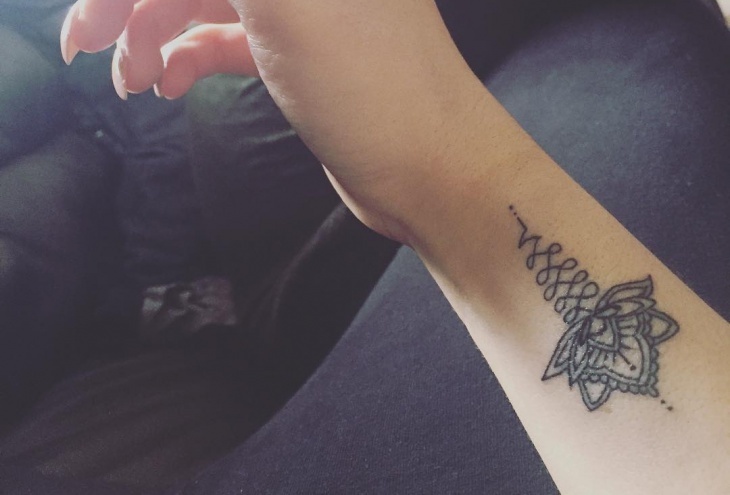 If you are an introvert, then small wrist tattoos are ideal for you. 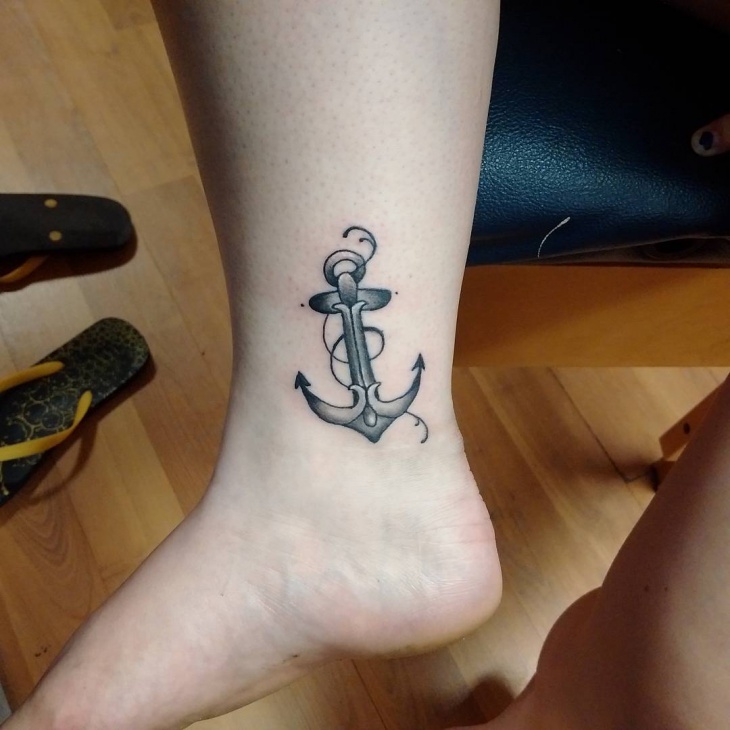 Opt for an anchor, flower or a simple word with a deep meaning in a color or font that you love. Getting it on the wrist can act as a powerful reminder of why you opted for that particular design. 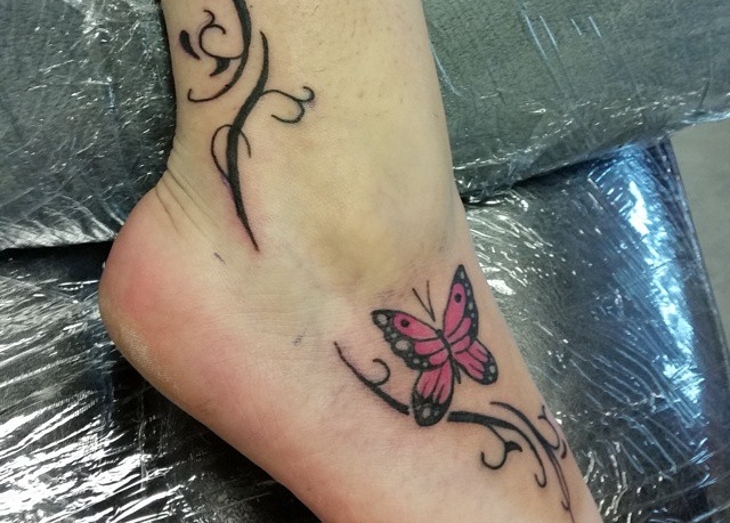 Small cross tattoo designs tend to feature simple yet cute horizontal and vertical lines. 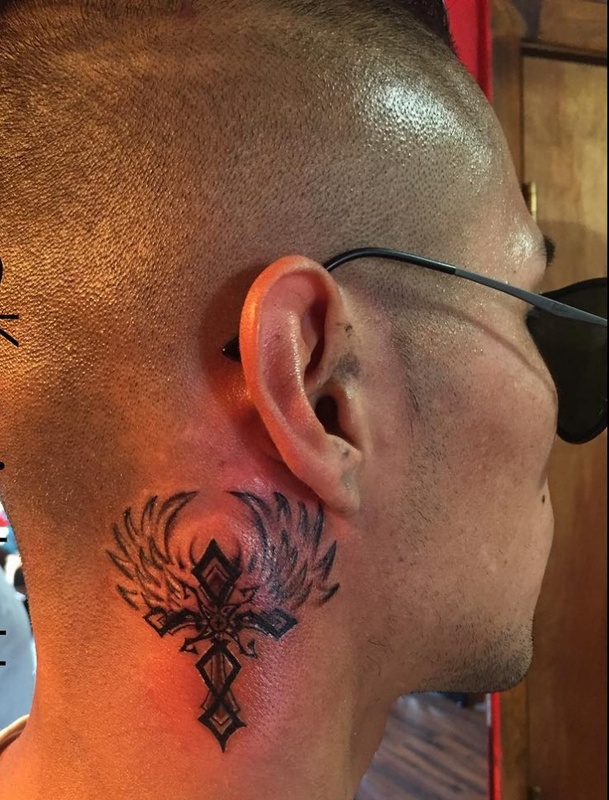 Cross tattoos represent faith and Christianity, so you are assured you are stating your religious stand. 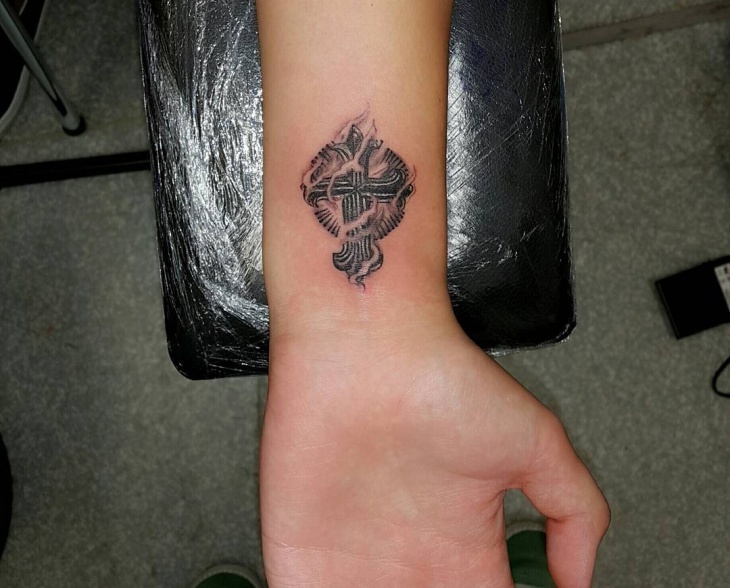 Place cross tattoos on the shoulder blade to make the design tasteful. 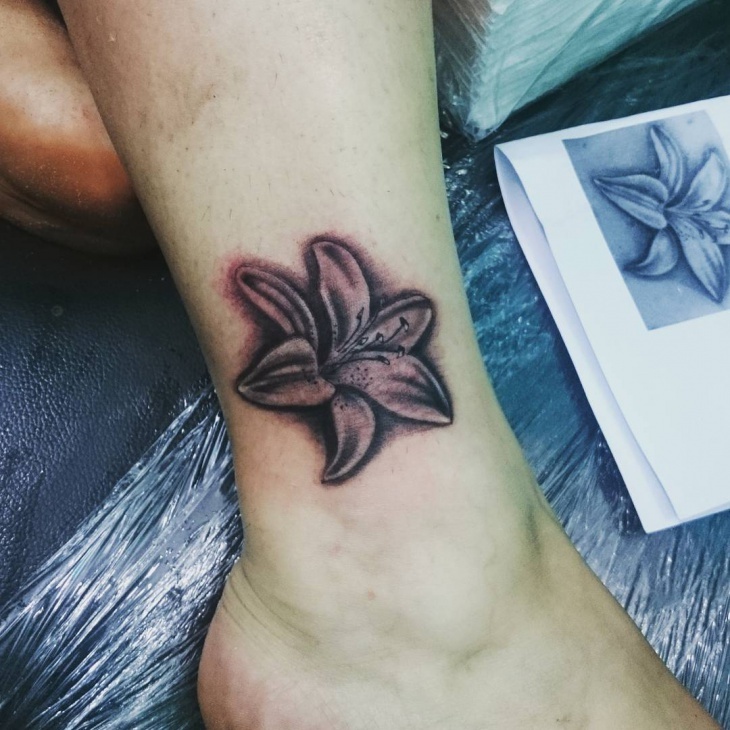 Could flower tattoos be any less beautiful? 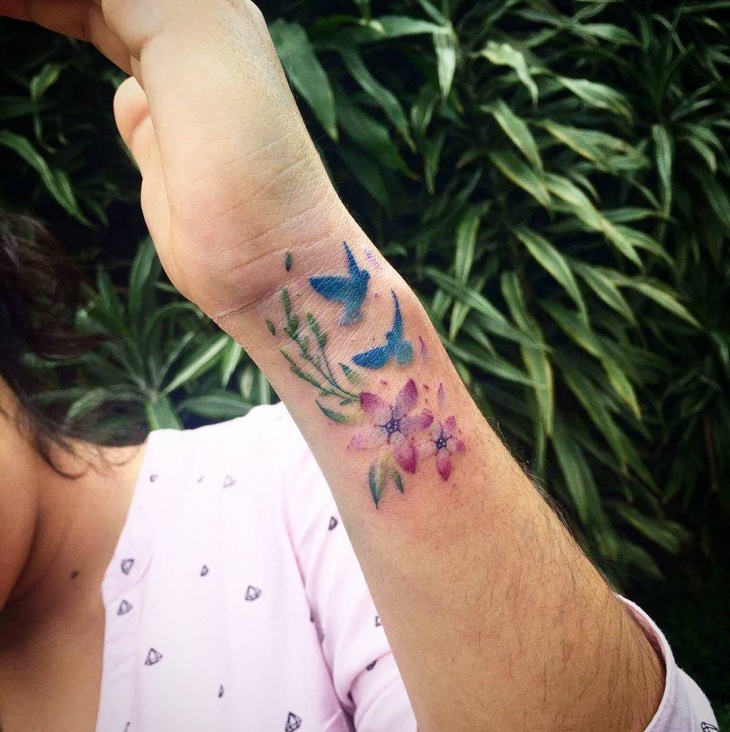 Their vibrant colors and delicate structures will make small flower tattoos to look stunning. 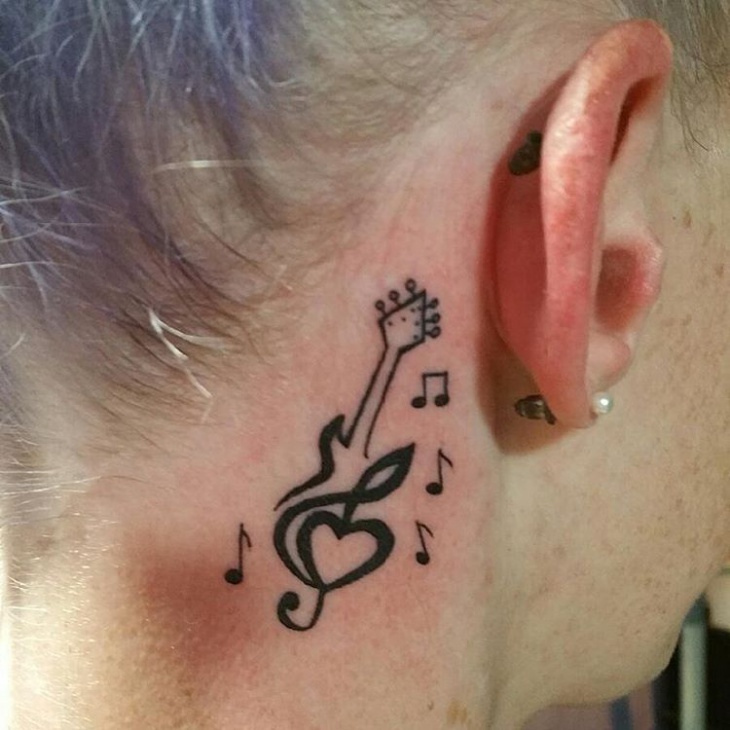 They are the ideal tattoo designs for women, are easy to pick since you just have to choose your favorite flower and ink it on your best body part. 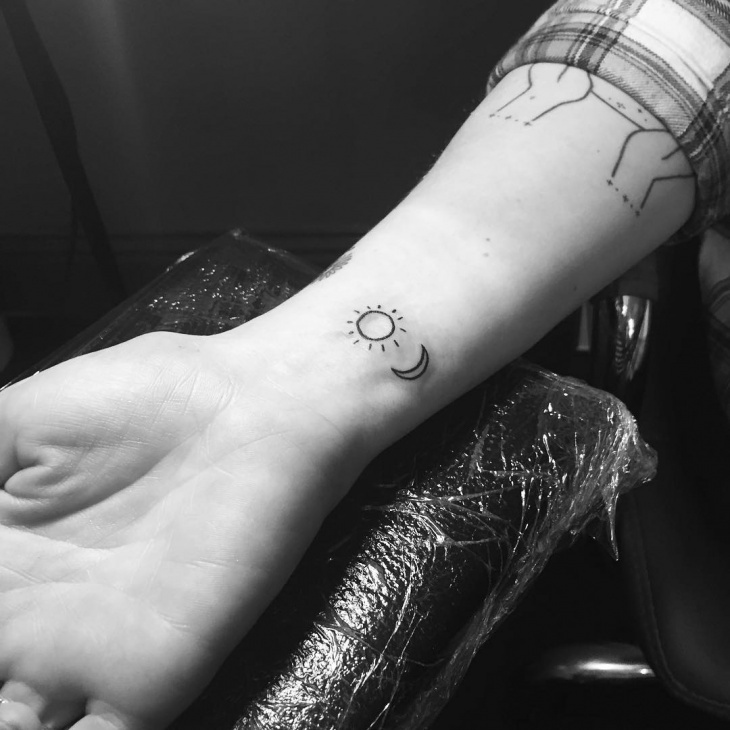 Sometimes getting a small design is what you need to remind yourself to keep pushing forward. 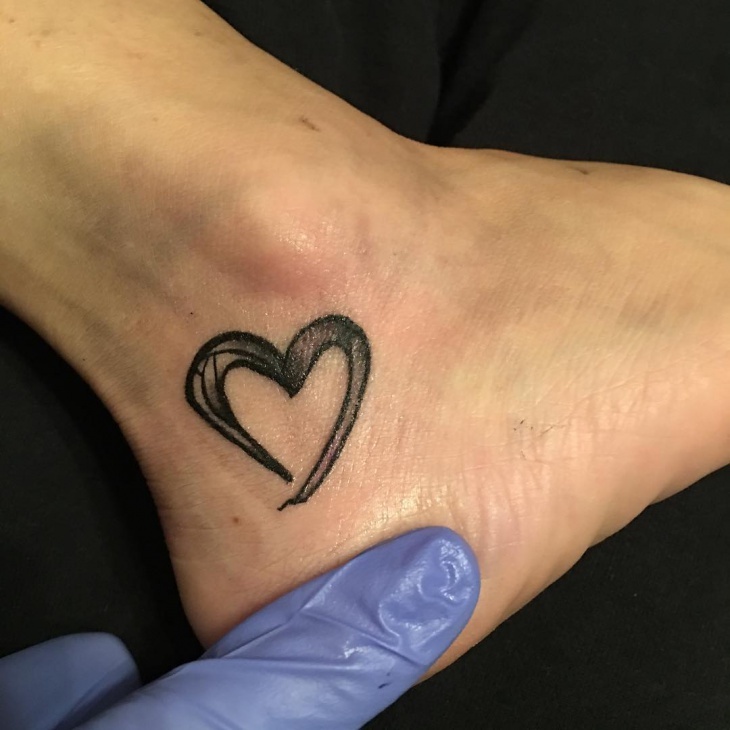 Small heart tattoos will portray love for life or significant other, and you can even do the two sides that connect to form a heart in different ink colors. Even though an elephant is one of the largest animals, you can still scale this animal into a small size yet still carry the same symbolic meaning. 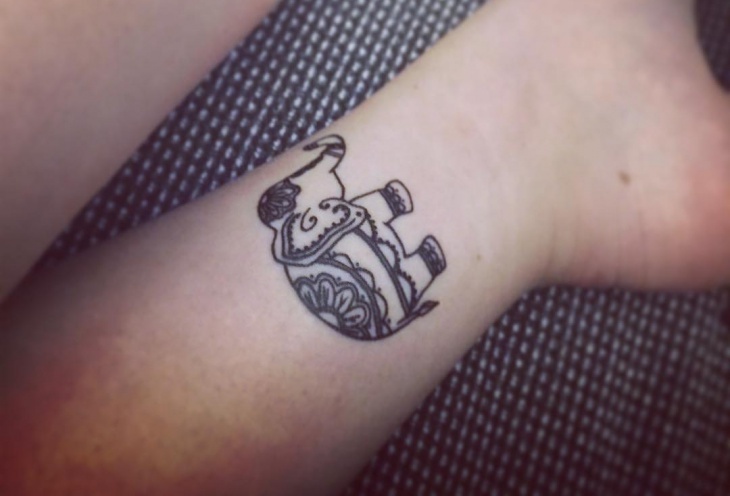 A small elephant tattoo will represent power, strength, good luck, and longevity. 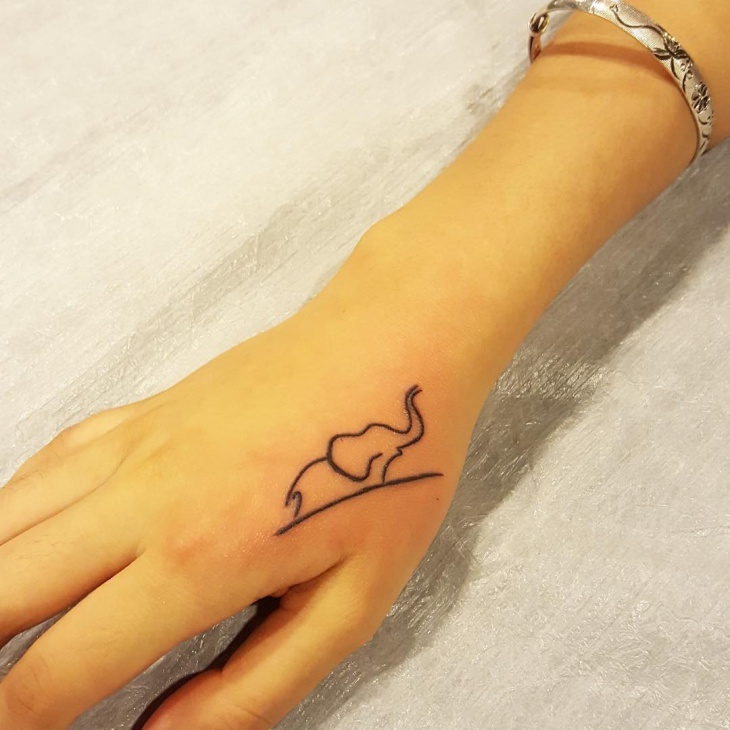 For a subtle look ink your small elephant using black color only. A butterfly is an exquisite insect so drawing it in a small size will still ensure its beauty shines through. 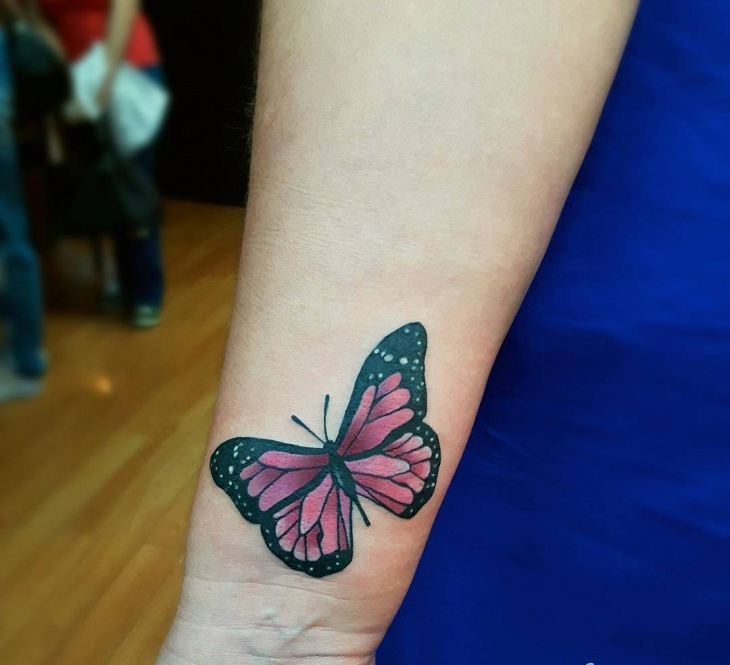 Small butterfly tattoo designs can be placed on the finger, behind the ear or neck to help draw attention towards these body parts. Opt to add vibrant colors to the wings of your butterfly. 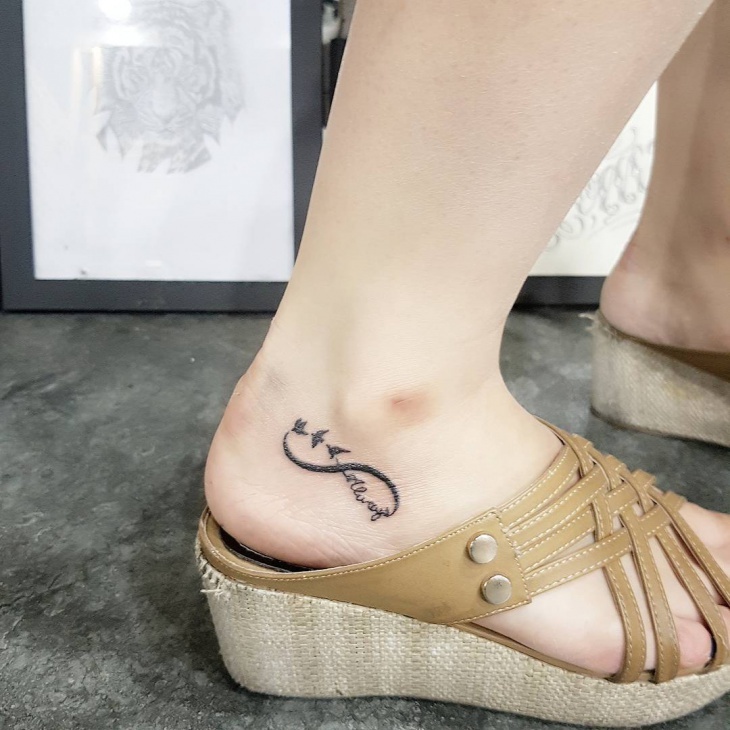 Birds are a symbol of freedom, and small bird tattoos will still depict this symbolic meaning. With various types of birds available to date, you will surely find one with traits that resemble your personality. 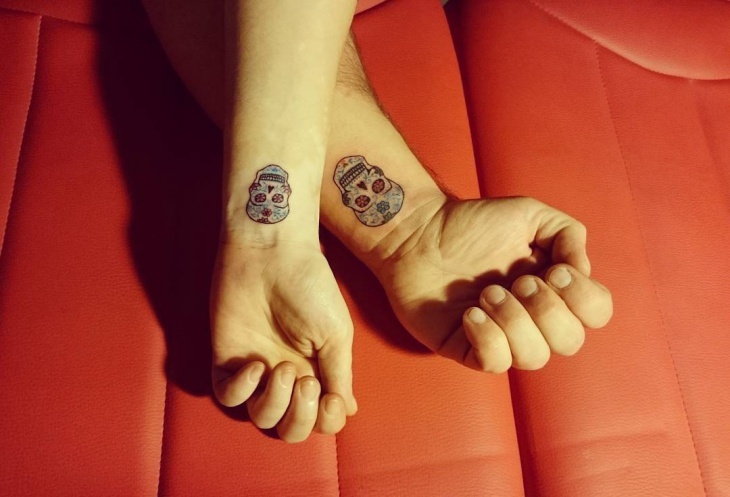 This tattoo suits both guys and girls. 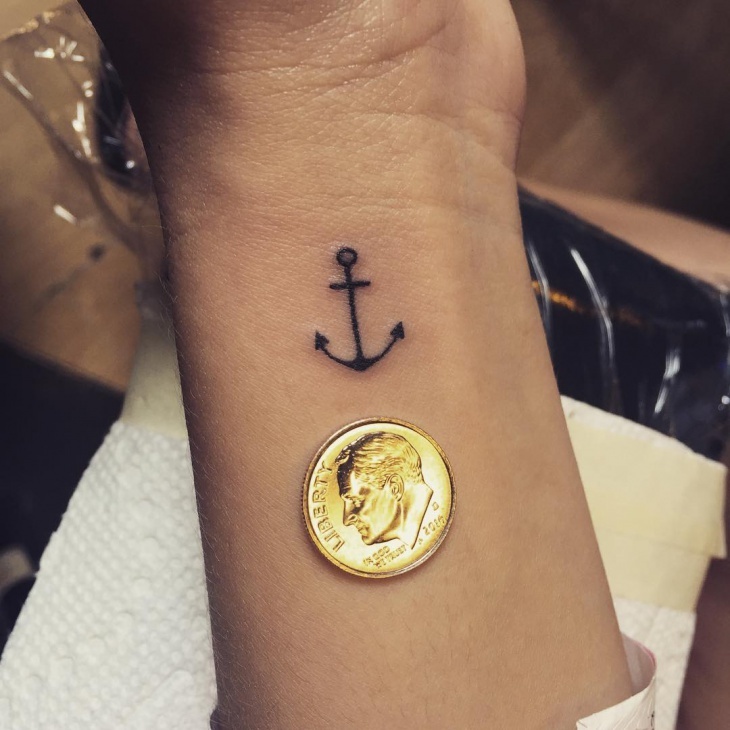 The delicate line work of a small anchor tattoo is what makes it a favorite for both men and women of all ages. They are perfect for Navy personnel or any person who loves aquatic life. They depict stability which is a trait that every human wants to have. 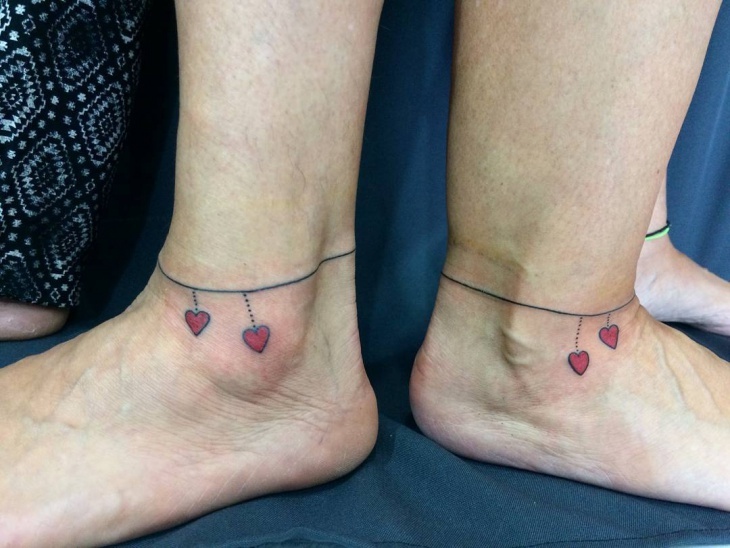 Small couple tattoos can either feature two love hearts linked together or an infinity symbol with initials of the couples. Simple initials in bold font can be a powerful way for couples to express their love. You place any of these tattoos on the hips where you can only show it to your partner. 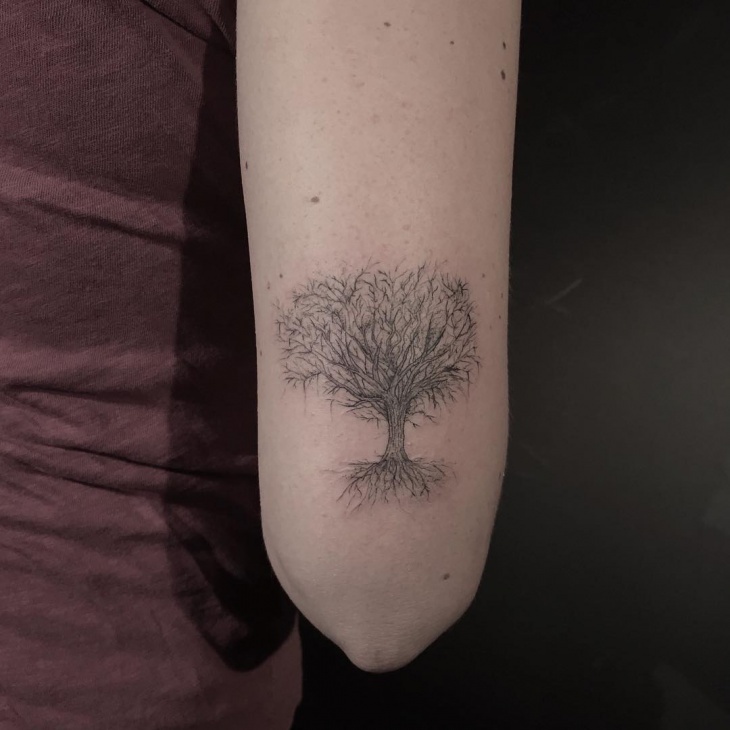 Small tree tattoo designs are cool and will make the area where they are placed even more beautiful. 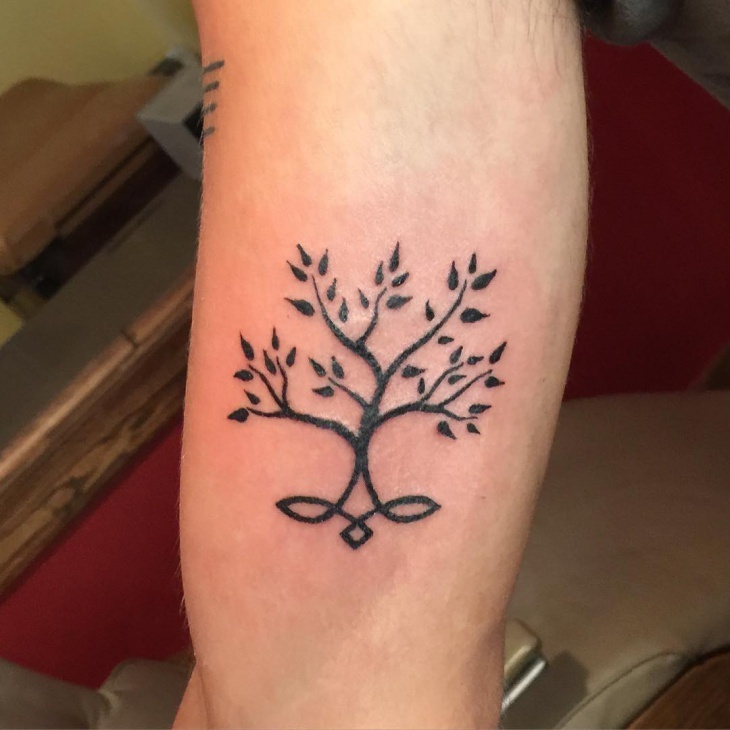 With deep symbolic meanings such as salvation, abundance, knowledge, survival, and growth, your tree tattoo will look good on you. 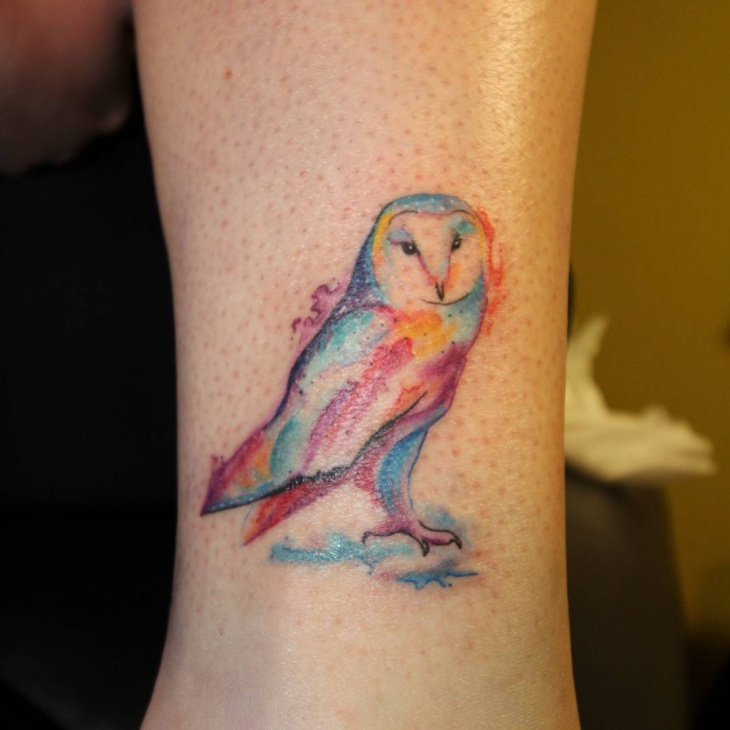 For a realistic effect get your small tattoo in a watercolor or 3D style. 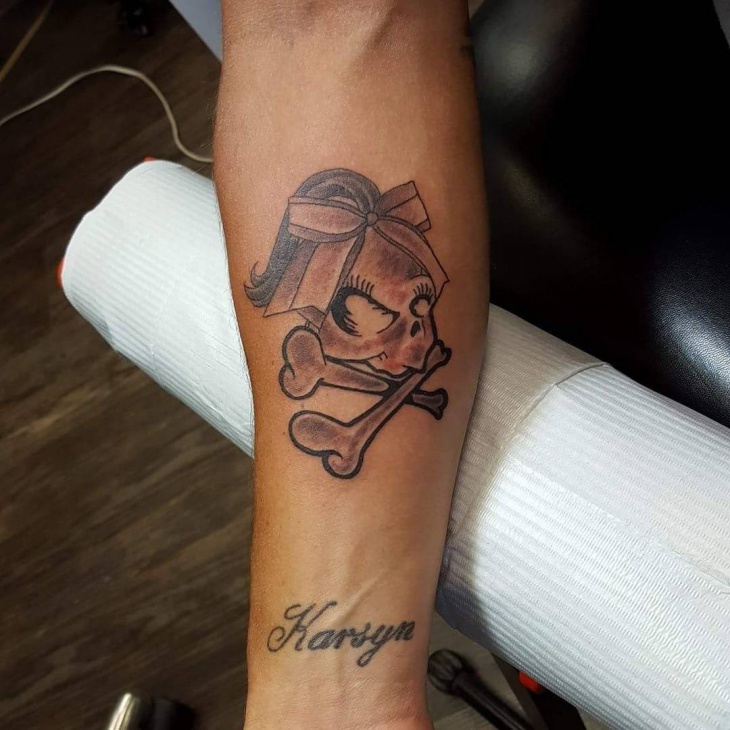 Even small skull tattoos still depict a tough personality or having gone through a near death experience. 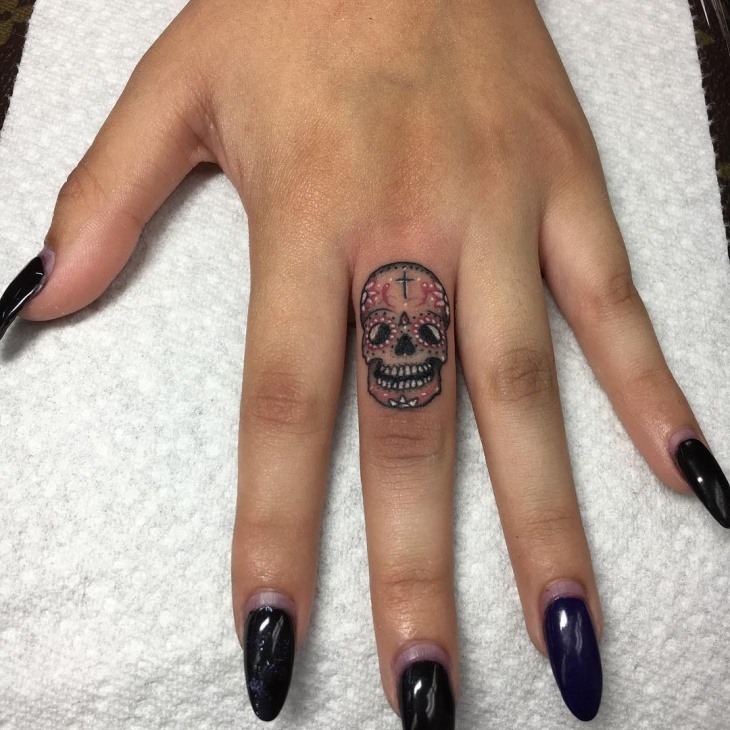 For a girl, you will want to go with a skull that is attractive so consider getting a sugar skull on your fingers which will help tame down the negative meanings associated with this symbol. 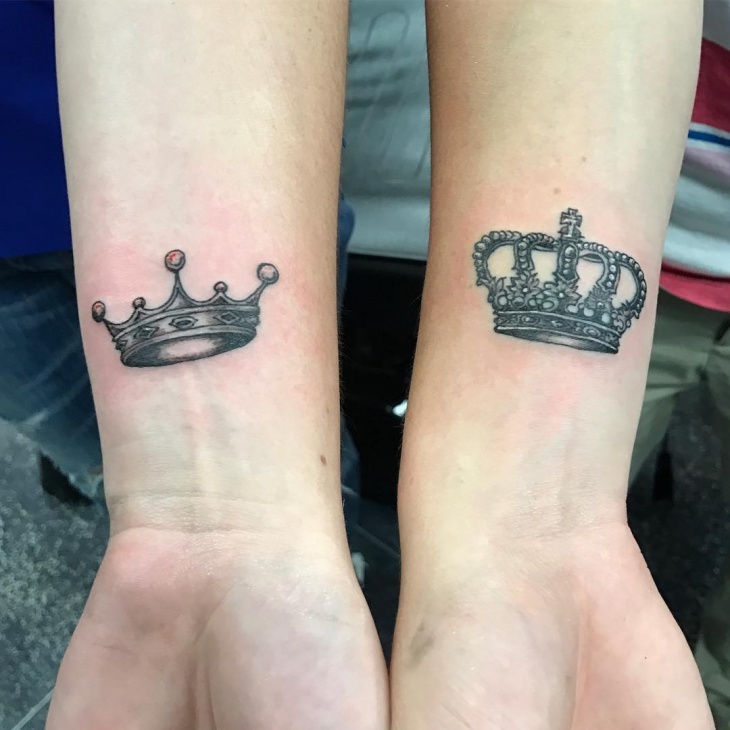 If you feel like a princess or a king, then get a small crown tattoo. 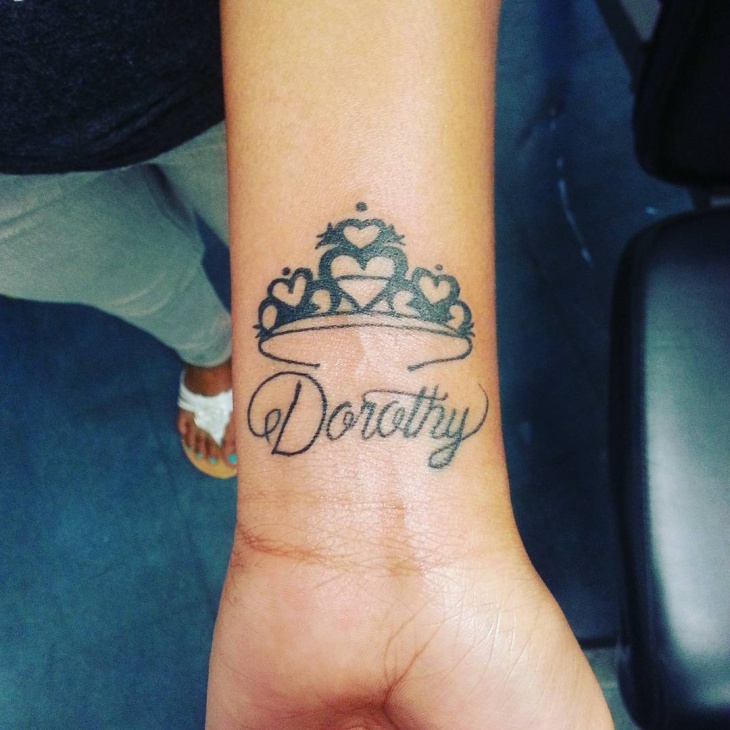 Crown tattoos will also show that you are in control of your emotions and you have the power to dictate how moods affect your day. The simplicity of the design makes it ideal for a neck or finger. The sun is known in many cultures for its power of providing life. 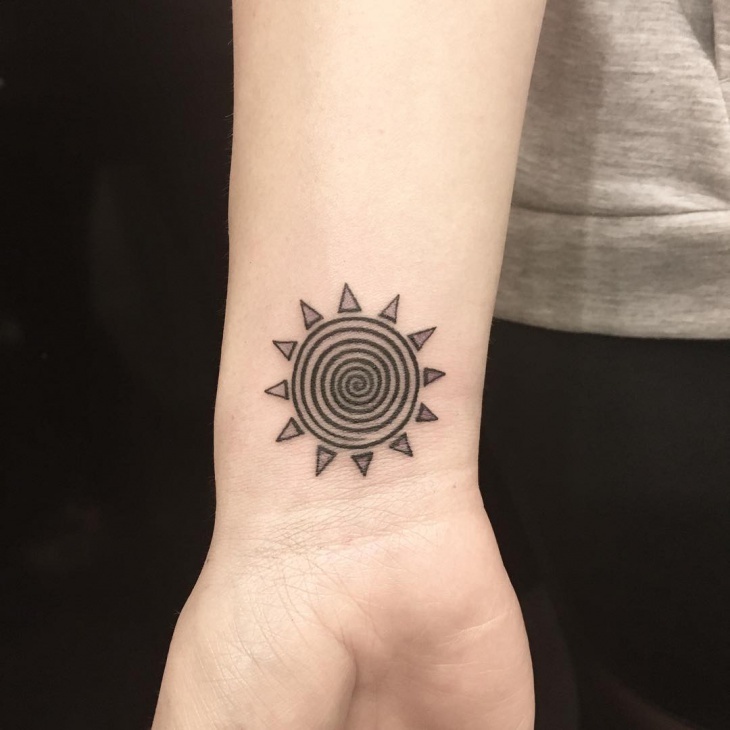 You can design your small sun tattoo in a tribal effect or with sun rays to depict their energy. 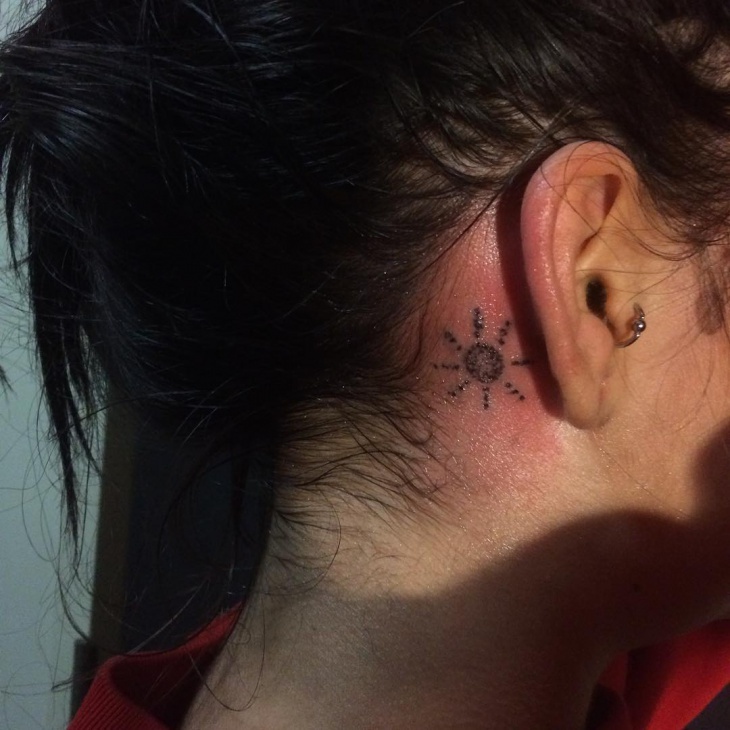 For a cute yet fun effect draw your sun symbol and give it a smiley face to show positive energy. 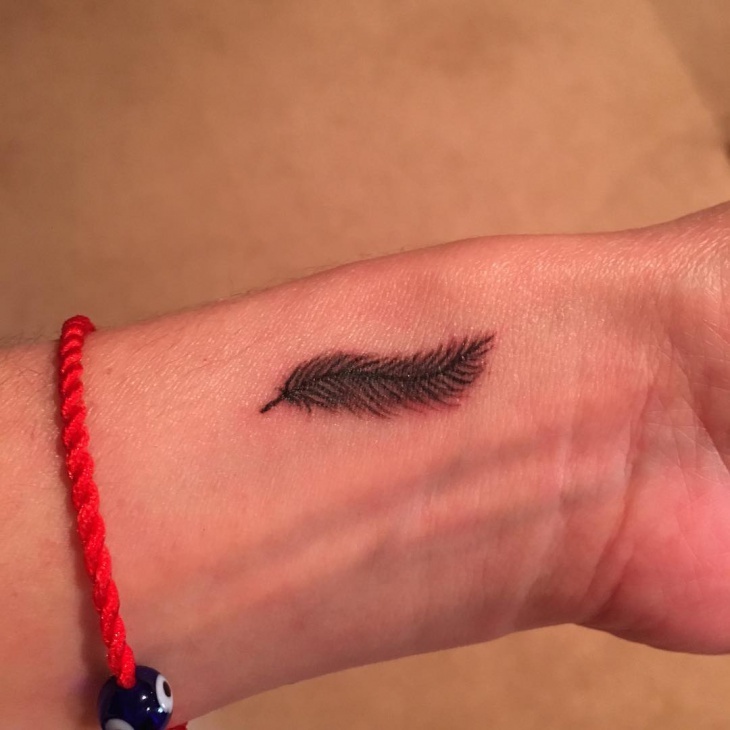 Feather tattoos are great as small designs because they are easy to draw and will look good on either a man or a woman. 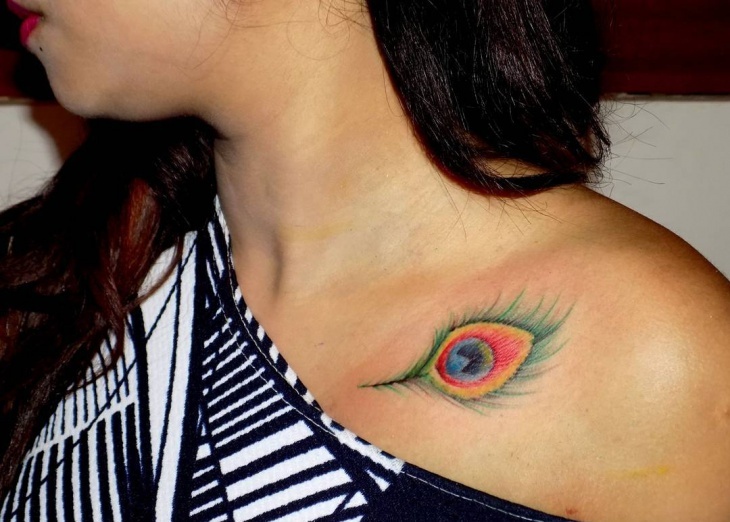 For a girly image opt for a peacock feather and give it a bit of color and the eye to make it realistic. 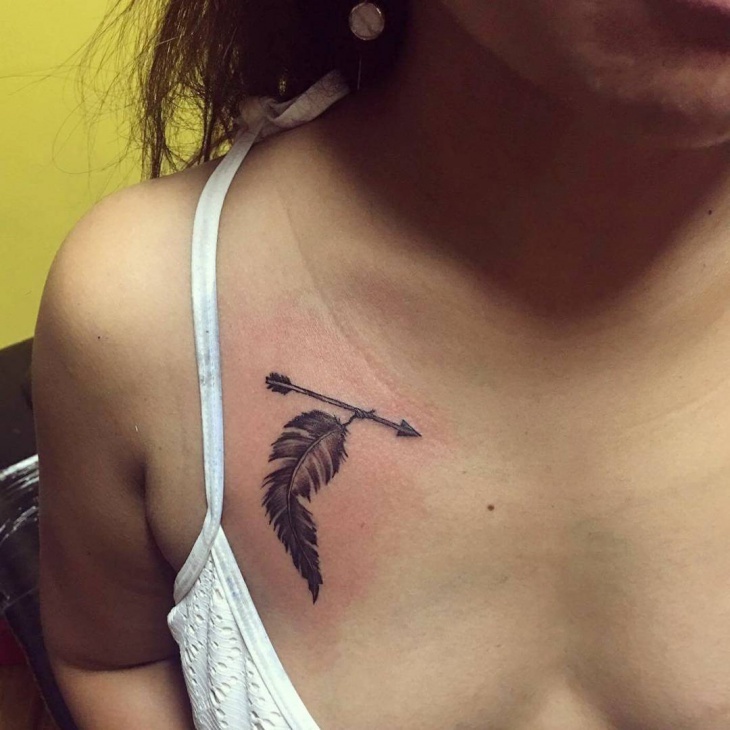 Men can opt to add small feathers in a dreamcatcher tattoo. 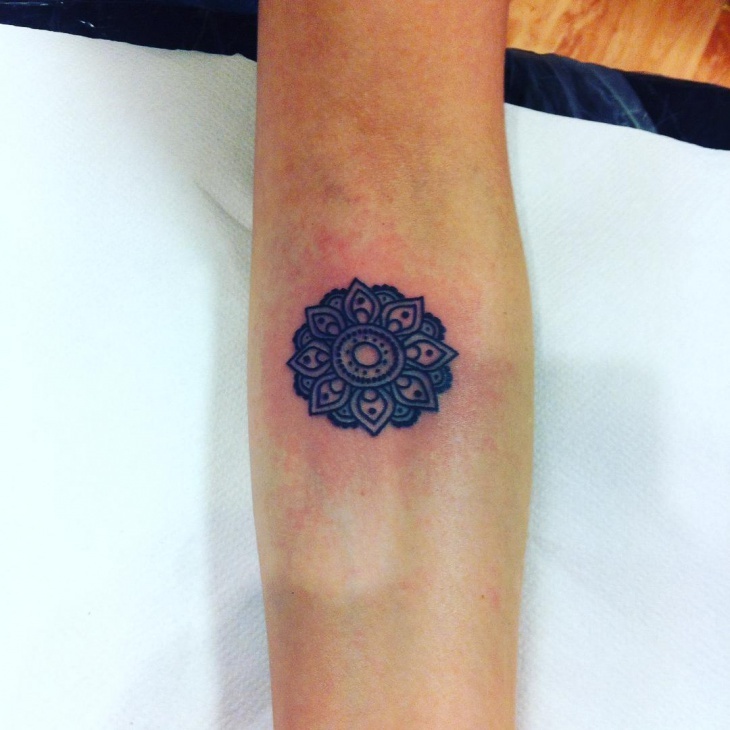 With inspiration from India and Native American culture, small Mandala Tattoos feature beautiful circles that make them ideal for girls. 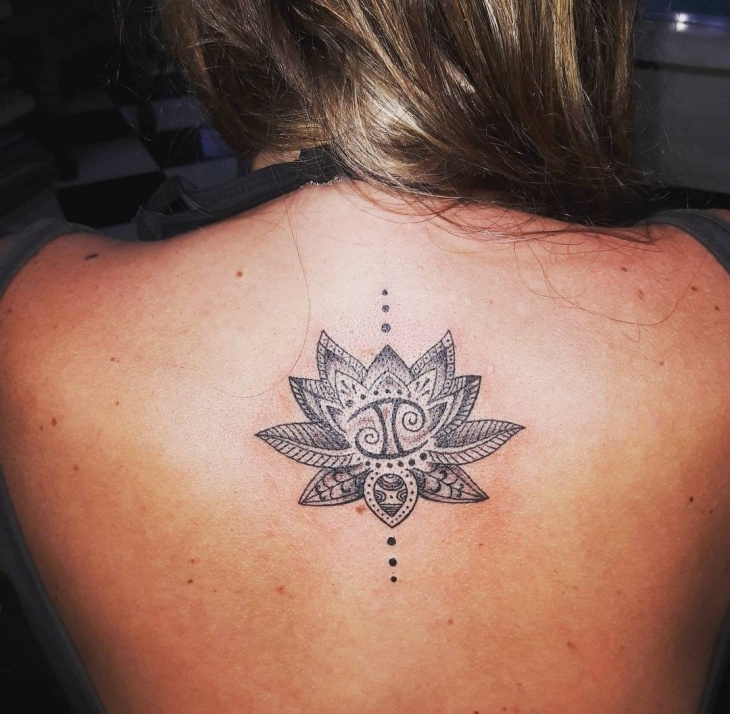 They will also work for any person who wants a tattoo that has religious meanings because Mandala designs represent wholeness, Trinity and eternity. 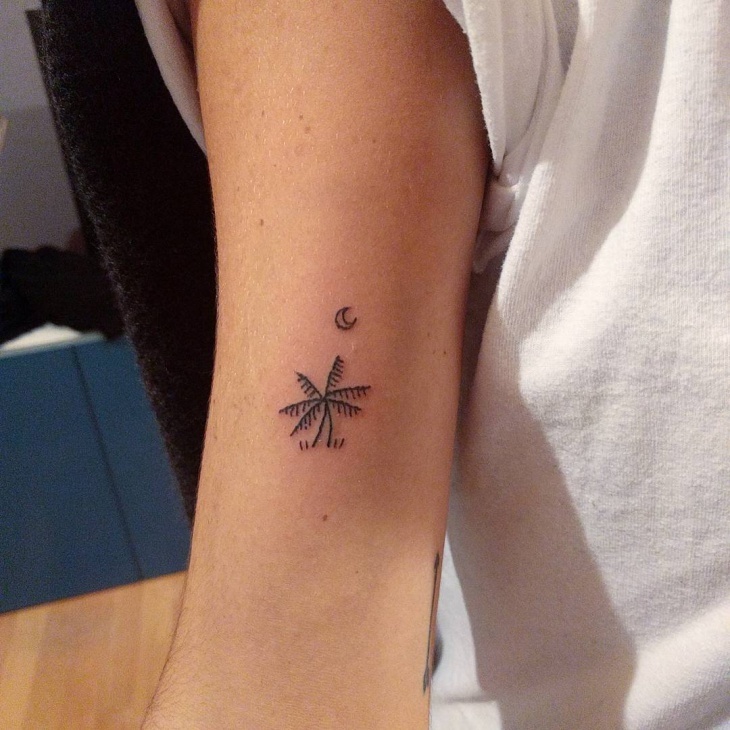 Place this tattoo in an area with no folds. 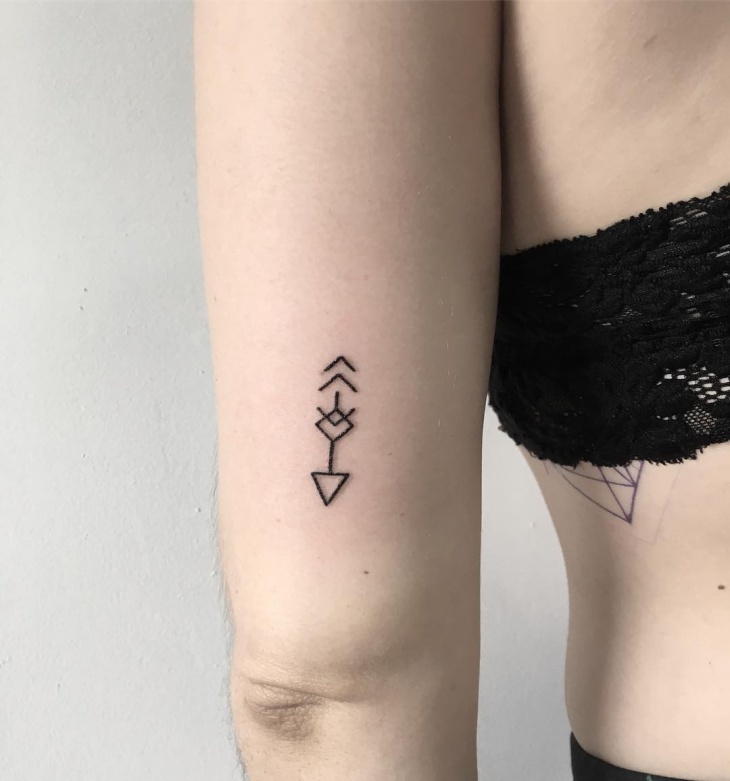 The best way to capture significance in shape is to get small geometric tattoo designs. Look for a shape or line with a symbolic meaning and place it where you can easily see it. 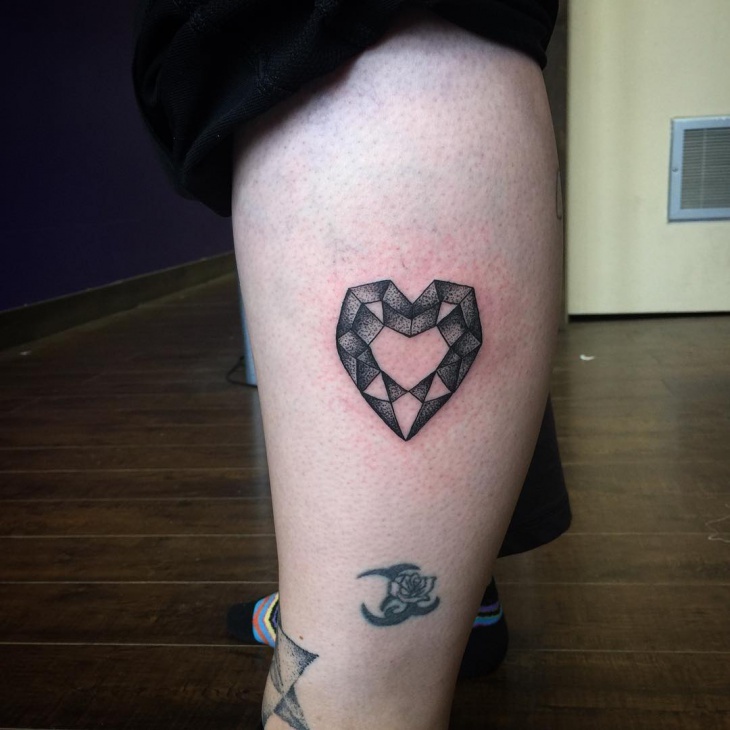 If you prefer a discrete geometric tattoo, then opt for designs that use dots and thin lines. 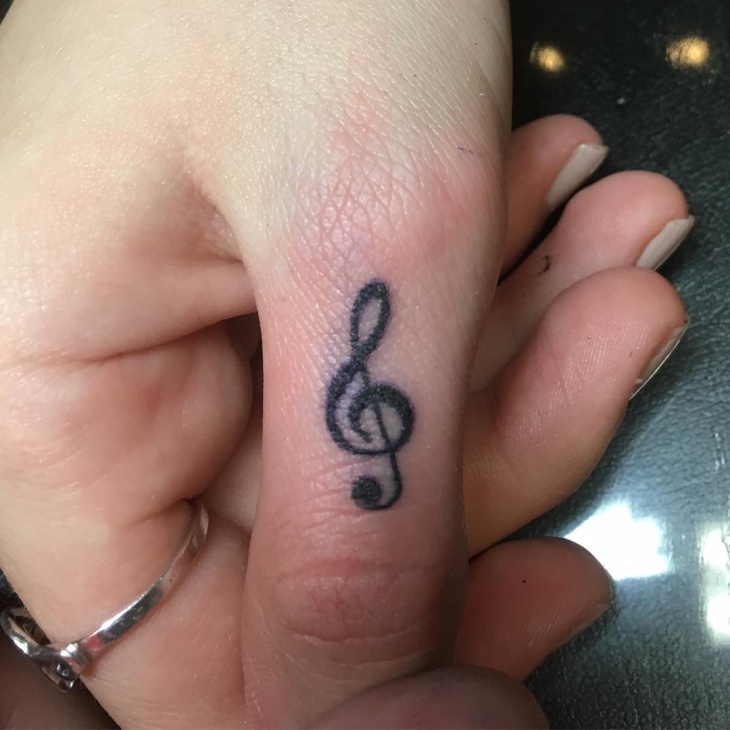 Small music tattoos are ideal for music lovers and just getting a single small note is what you need to make a statement. They look stunning no matter where you place them. 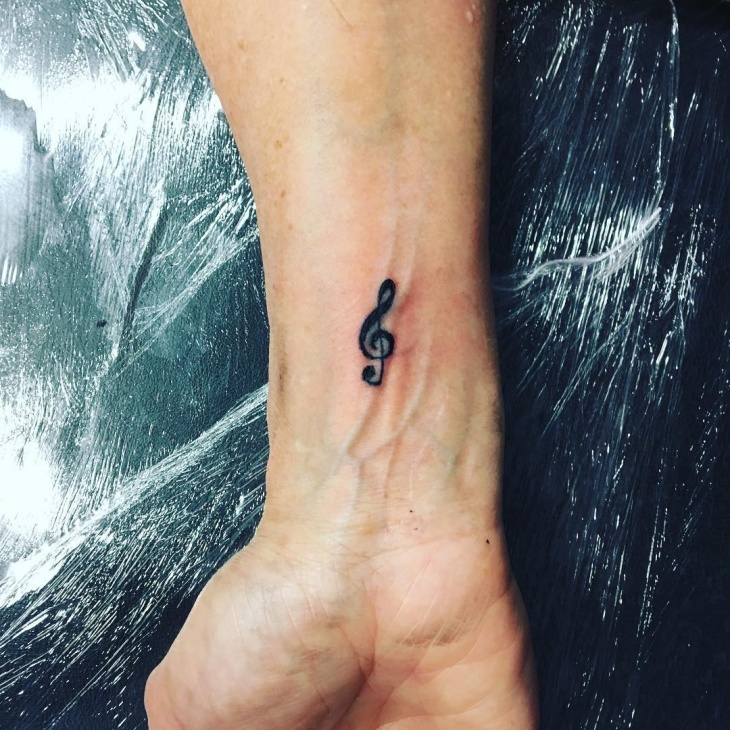 A black music note will look cool. However, a colored one will stand out. When it comes to picking a bird with a profound symbolic meaning, then an owl will be mentioned among the most popular birds. You can use different parts of the owl to depict a certain mystery that only you have the answer. 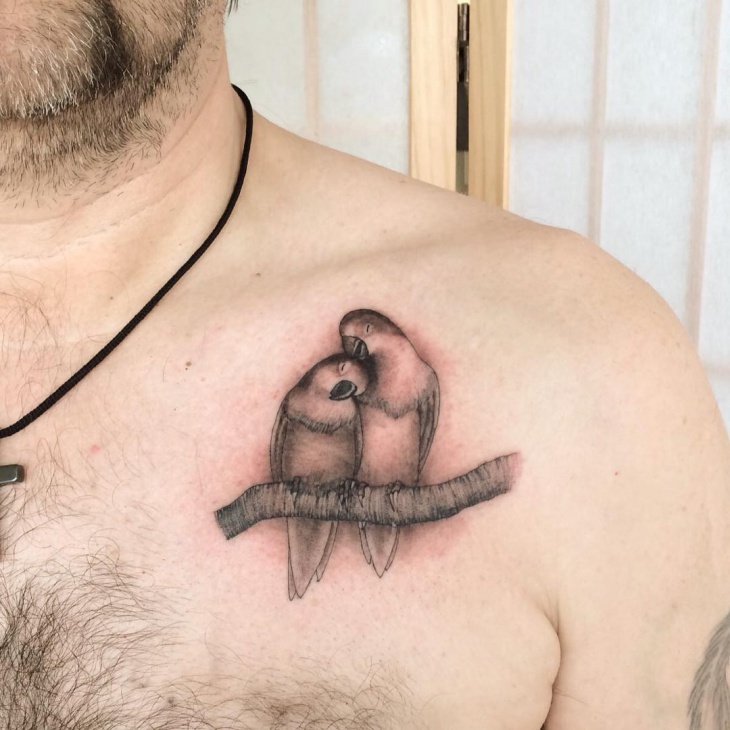 Go for a monotone design if you want a full owl tattoo. 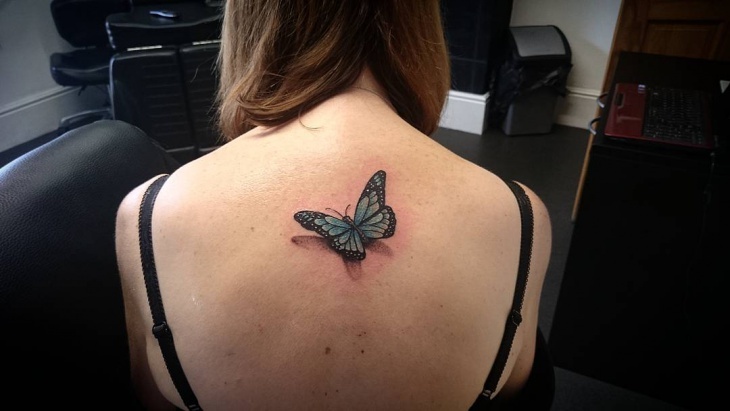 Chances are high that you have thought of getting a small tattoo but are afraid it will not stand out. 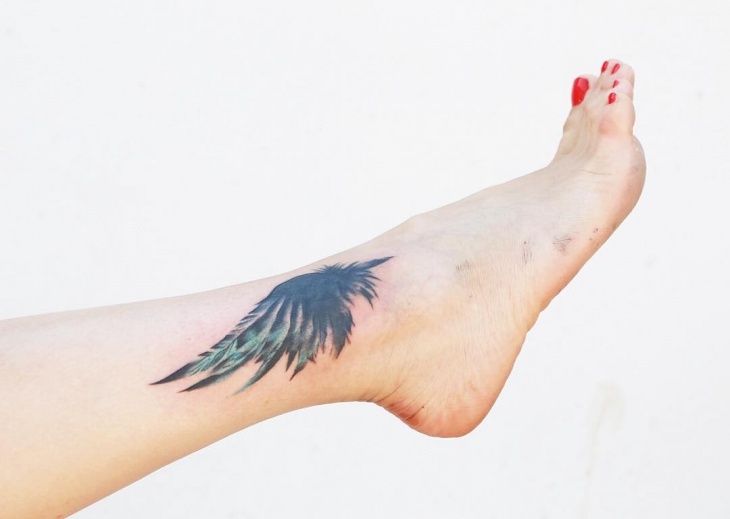 However, even small wing tattoos depict the notion of flying, and they will still look stunning. Placing it on your wrist or fingers will help make the hands beautiful and eliminate the need to wear hand accessories. 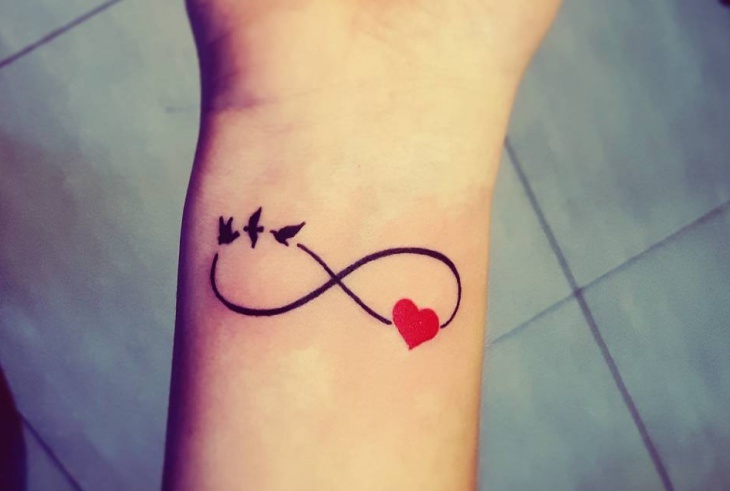 From a simple infinity symbol to adding birds or feathers on one side, small infinity tattoos are beautiful. 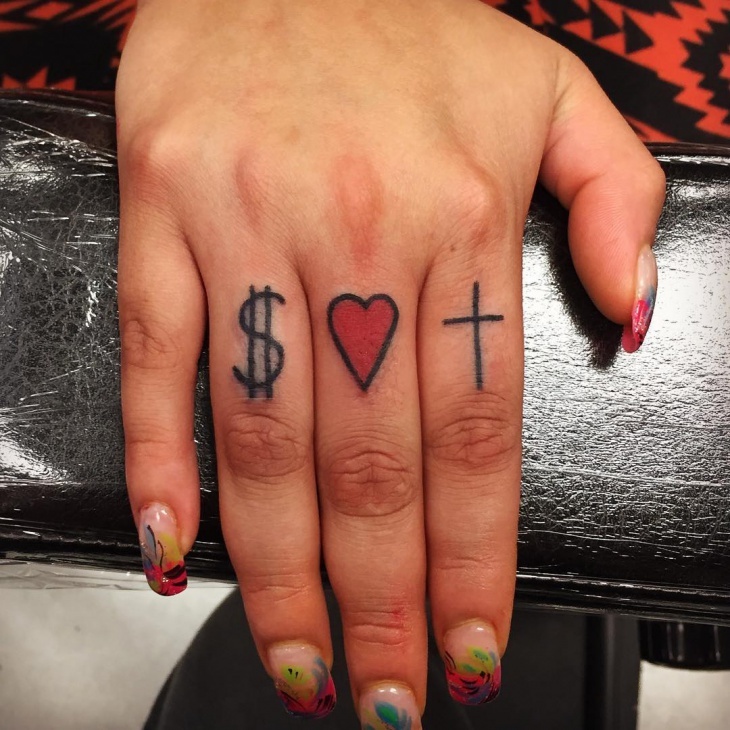 You can choose these tattoos because of their symbolic meaning or beauty where you can incorporate a little love symbol. 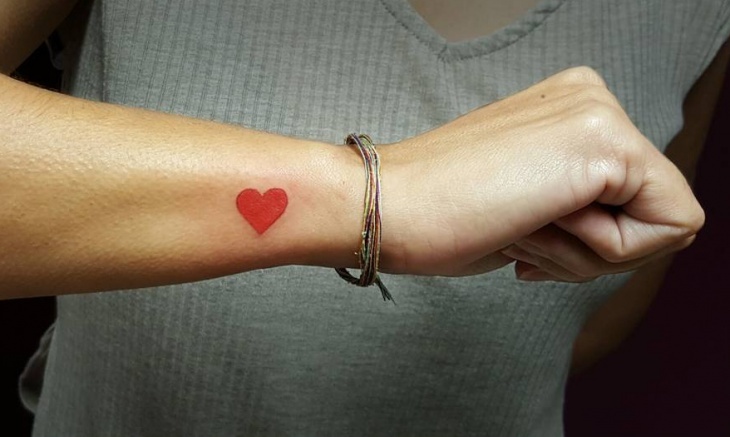 Small tattoos are perfect for individuals who live or work in a setting that strictly forbids tattoos. They take a very small space meaning that you will spend less time; cost and the pain will be relatively bearable. 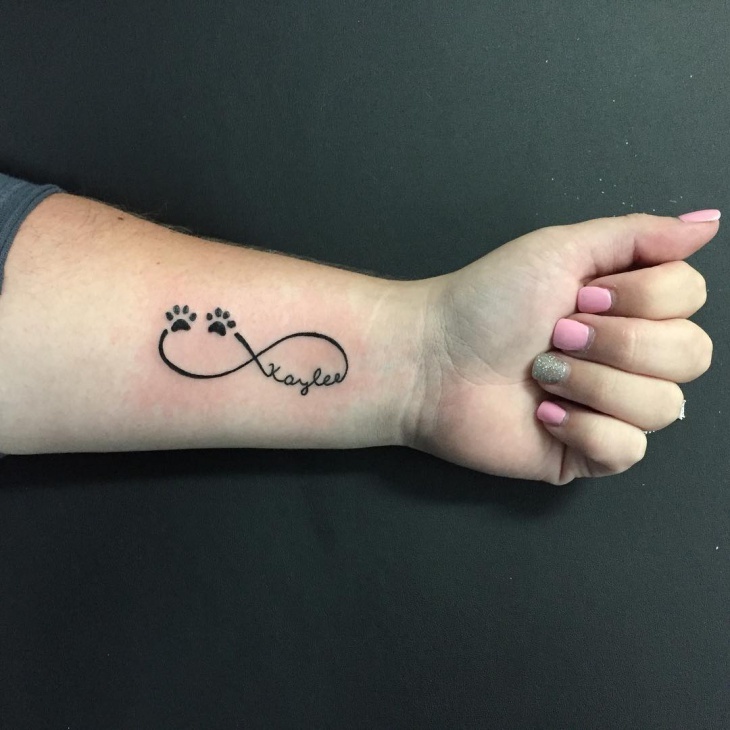 They also provide the right canvas to integrate other tattoo designs that will eventually result in a design that is stunning and have a personal meaning. 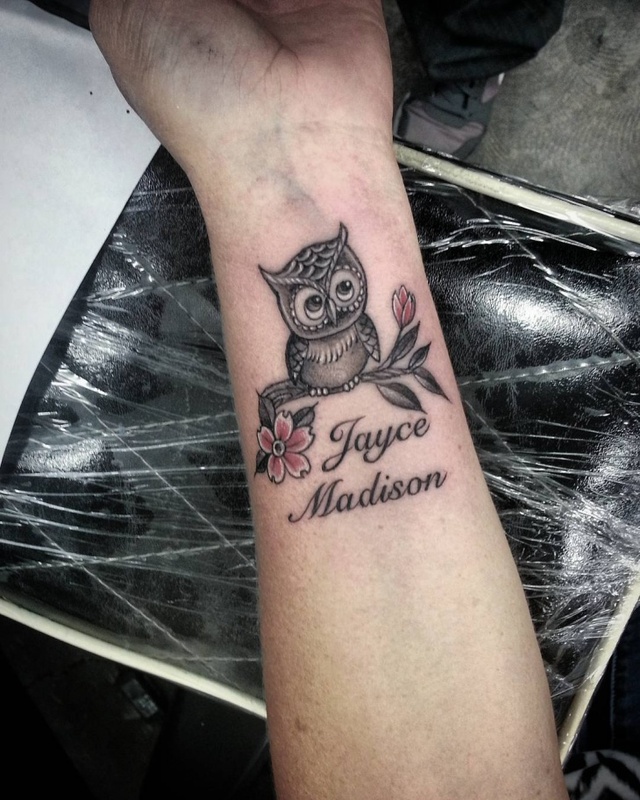 Small tattoo designs are cute and will enhance the beauty of that particular area. 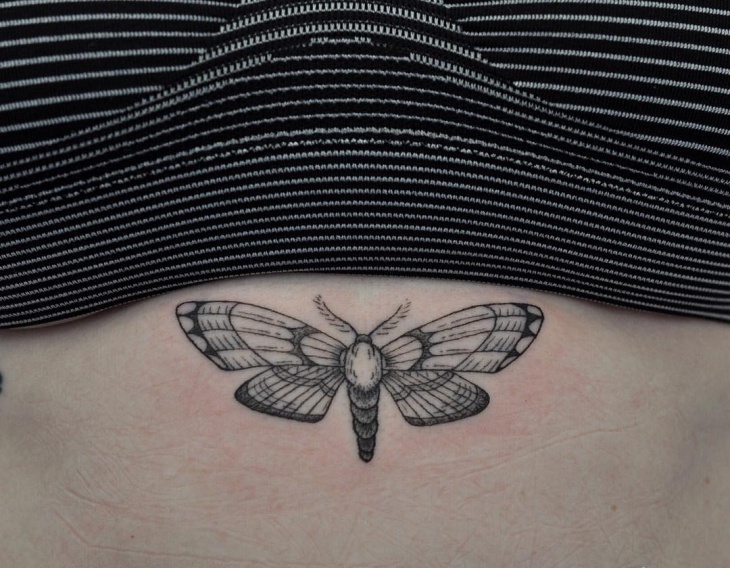 Small tattoos can look as beautiful as large designs. They are easy to hide and are so cute that will never offend anyone. 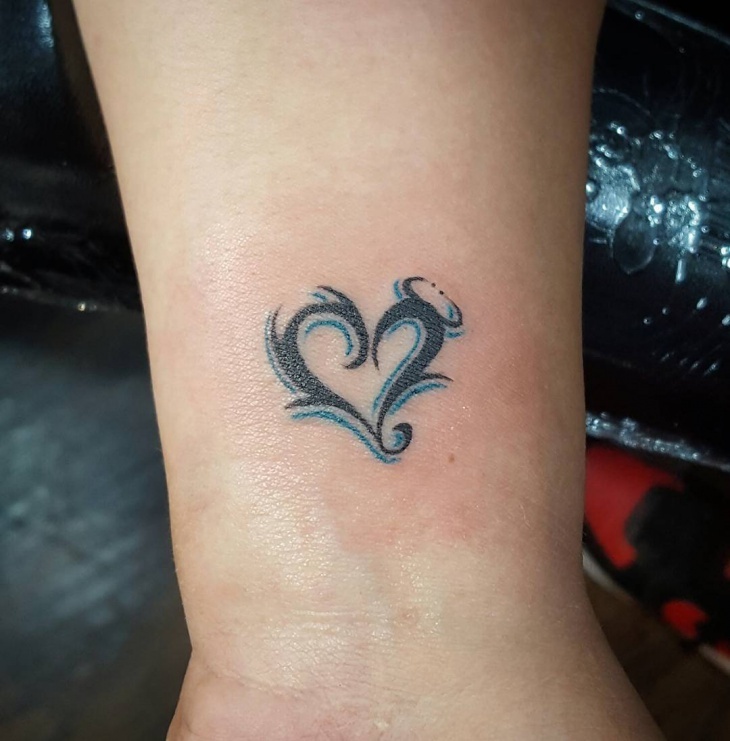 When choosing small tattoos such as heart tattoo designs always go for a design with a meaning that relates to your character, reminds you of loved ones or special events in your life.